Abby the Librarian: Ranger's Apprentice Giveaway!! I posted yesterday about The Ruins of Gorlan by John Flanagan, which is available as a free eBook until February 15. If you're a fan of the series, I have exciting news for you... Penguin Young Readers Group has kindly provided 5 advanced copies of the sixth book, The Siege of Macindaw, for me to give away! This contest is available to US residents. To enter in the giveaway, leave a comment on this post by midnight CST on February 7! Please include your email address if it's not readily available in your profile. If you help me spread the word by posting about this giveaway on your blog or Twitter, I'll give you an extra entry in the giveaway. Just leave me a link to your post or Twitter page in your comment! Five winners will be chosen at random on Sunday, February 8. The book won't be on shelves until August, so this is a great chance to get an early look at the next book in this awesome series! Oooh, cool. This series pretty much flies off the shelf at my library. You gotta love the series that keep the boys reading! What a great giveaway, thanks for the opportunity to win an ARC. Ooo, count me in! I just started reading the free e-book, and it looks like a great series. I am going to post the free e-book info on my Japanese blog. I've started reading it, too. I can't encourage my readers to enter giveaway because most of them live in Japan, but I'd like to enter ( I live in USA). Oh, my oldest would love you FOREVER if she could get one of these... please?? 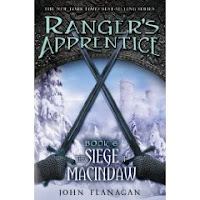 Ranger's Apprentice is a great series, even with the evil cliffhanger endings. This is a popular series. Thanks for the chance to win an ARC. I can barely keep this series on my shelf in my junior high library. I've love to win the sixth book! I think this is great. I love the series. I can't keep it on the shelf. It's great you got the advance copy from Australia. 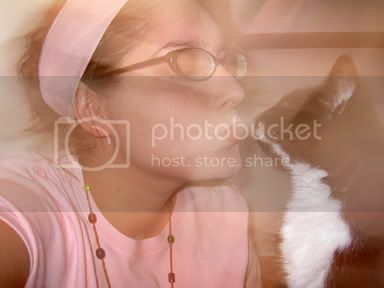 Hi Abby--I'm one of your blog stalkers finally fessing up. I know my little brother would kill me if I passed up an opportunity for this book so here I am. (I think the series is fun, it's sure popular at my library). I've read two of the series to and enjoyed them - but my students are wild about these - boys and girls! I'd love to win this for our library! kstoudt@cusd220.org. I love this series! Count me in. This is one of the coolest series around. The kids just die when I tell them if they lived in Australia they'd already have more of the books. We are a new library community of learners. This book would be an exciting addition to our collection. Oooh! I would love a copy!! For my genetically addicted grandchildren. These books are the best ever!! I would love to have one of the advanced copies and rub it in everyone's face that I got to read it first. I want to enter too, please! I have been lurking for a few months now...this series is enough incentive to make myself known. My middle school kids would love to get their hands on this book as well as a few of my colleagues! I'd love a copy. Thanks!